Storm fronts arrive on Britain’s west coast in waves throughout the winter (and very often the summer too!) 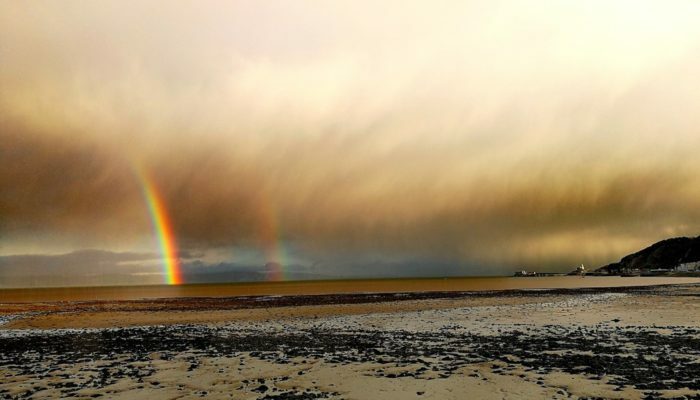 It is not unusual to see rain falling on a beach with hail and snow lying, whilst a rainbow pierces the clouds. Description by Mary Gagen, as it first appeared on imaggeo.egu.eu.